Less Than a Week to Sign Up Before Mini-Tri Fees Go Up! there are only a few days left!!! It’s easy, go to the website to sign up today! And Here is the Internet Link Where You Can Register for the LCC Mini-Triathlon! 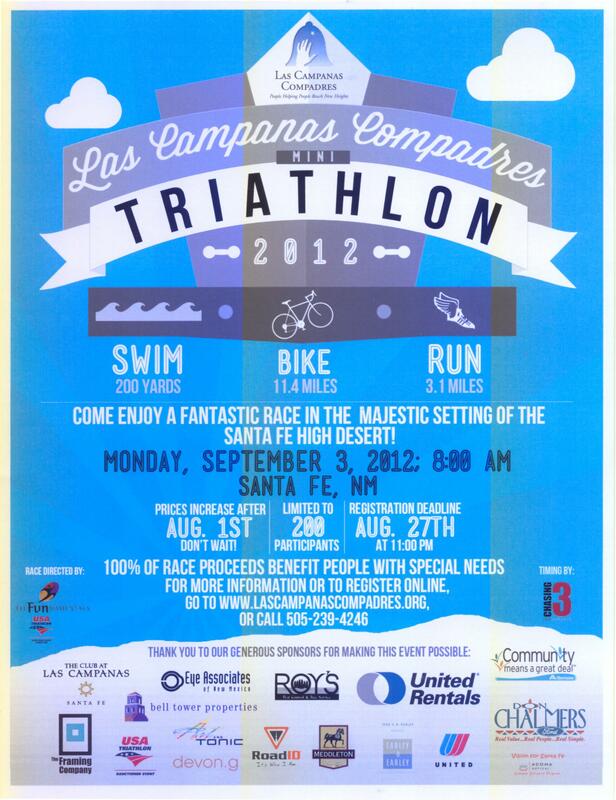 So, you have seen the poster, viewed the exciting LCC home page photos of past LCC Mini-Triathlons and are now enthused about signing up to support Las Campanas Compadres. How do you sign up for this year’s race? Here’s how! You can form a three-athlete team, or enter one or more of the biking, swimming or running events yourself, to benefit and keep the LCC programs going strong. Please note: Early Bird Fees Available NOW! Time to sign up for the Early Bird Rates! It’s that time of year again when we dust off our bikes and haul out our running shoes to race for a good cause. This year we have hired a professional race organizer and our event promises to be bigger and better than ever. We are aiming for 200 race participants. 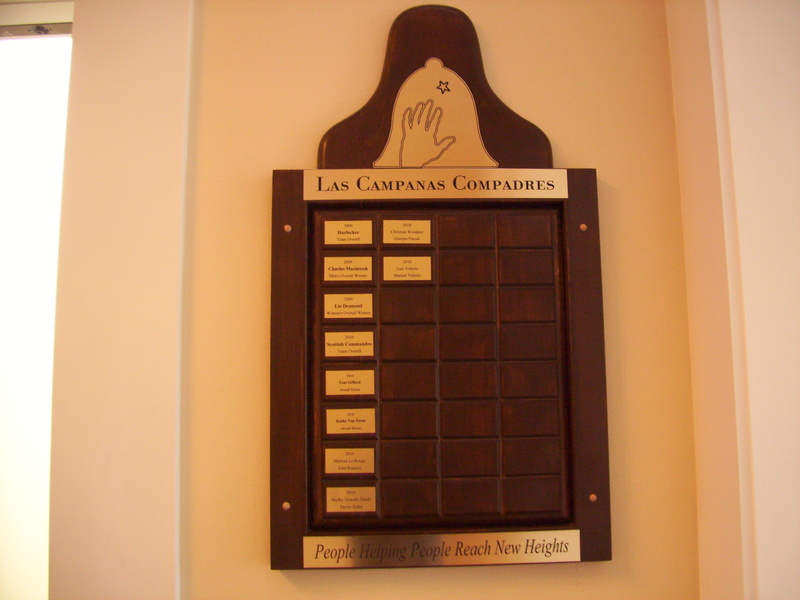 Las Campanas Compadres is a 501c3 charitable company that offers free therapeutic riding and swimming lessons to people with special needs. Since inception in May, 2007 the program has underwritten over 3,300 lessons. We currently have over 40 students on our roster and demand for our services is greater than ever. All employees work pro-bono and 100% of all donations go toward paying the instructors and the care of our horses. All office expenses are paid for by the founders. Our 2012 budget is $50,000. The mini tri is our only fundraising event. Funds are raised through our generous corporate sponsors as well as individuals sponsoring race participants. Once again Suzanna and I will be competing with special needs teams. Suzanna’s team is called The Firecrackers and consists of herself, Susan Sumner, and Shelby Howley-Smith, one of our students who will be doing the swimming portion of the race. My team is called LCC Amigos and consists of me doing the biking, John M. Romero doing the running assisted by me, and Christian Woodard swimming. Last year we broke the 2 hour time barrier. 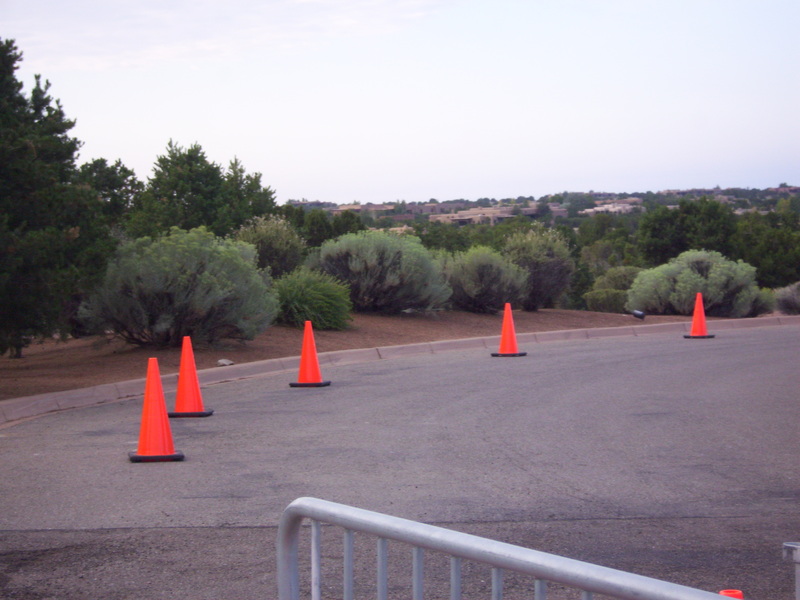 This year we hope to complete the course in 1 hour 45 minutes or less. We hope you find our work worthy of your attention and would ask that you check out the ways in which you can help us achieve our fundraising goals. We have made it very easy for you to sponsor us this year. 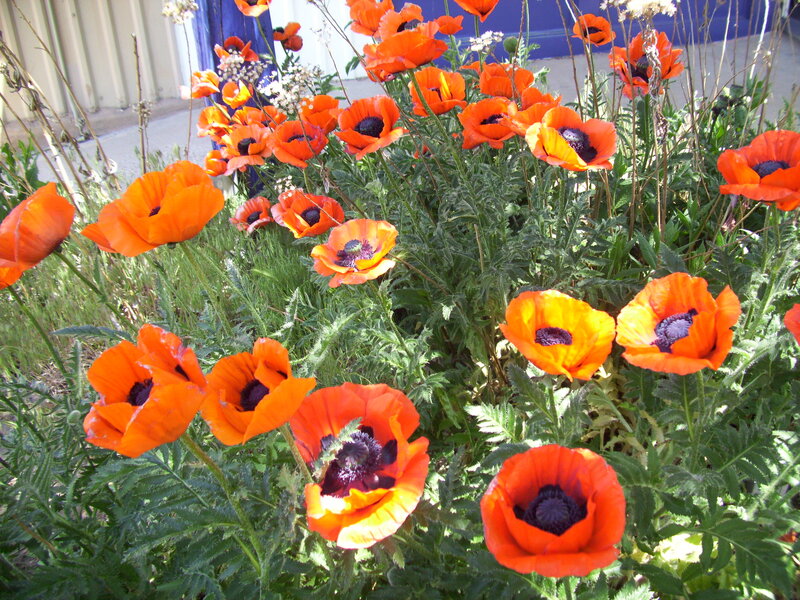 You can go to our website, www.lascampanascompadres.org and click on the “Donate” link on the right. Payment can be made via PayPal, credit card, or check. This year’s poster has all the details of the event. We hope that if you are not participating that you come and cheer for those who are participating. We can also use some more volunteers this year. If you would like to help out please contact us. As always, Suzanna and I are enormously grateful for the support you have shown in the past and we hope to see you at this year’s event.